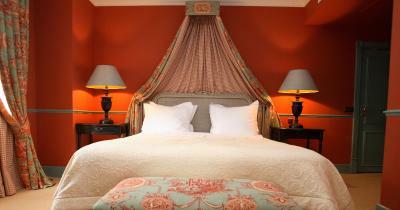 Lock in a great price for Paleis Hotel – rated 8.6 by recent guests! 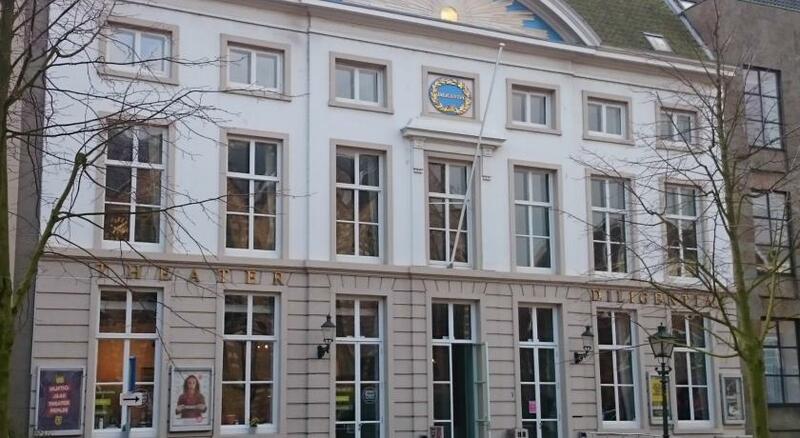 The location is in the heart of the Den Haag. The room is clean. The bed was very comfortable! The staff offered us an umbrella to borrow when it was raining! The bathtub was huge! There was a nice assortment of tea, coffee, and wine available in the room. The saff was extremely warm, friendly and accommodating! The hotel was beautiful! I would definitely choose to stay here again! Great location, in the center. Close to a lot of restaurants and shops and sights. Clean. Very big bed, although the mattress was a little soft. The handle on the door to the balcony in room 107 was almost impossible to turn to open it. When I did manage to do it and tried to shut the door, the entire handle on the inside came off. I kept ,thinking, if there is a fire & I have to use the fire escape, I wouldn’t be able to get out that way. Big safety issue! Good ambiance. nice lighting. Lovely bedroom. Very helpful staff. Ideal location in the very center of the city. 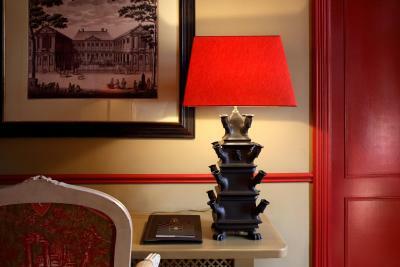 Cosy boutique hotel with amazing staff. I will definitely come back. Extremely comfortable room. Clean, quiet with climate control. Could not fault it. 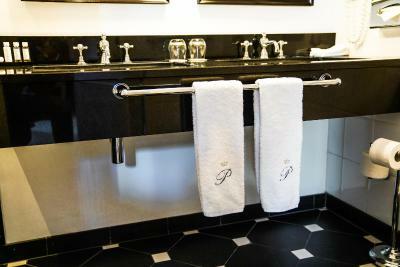 Paleis Hotel This rating is a reflection of how the property compares to the industry standard when it comes to price, facilities and services available. It's based on a self-evaluation by the property. Use this rating to help choose your stay! 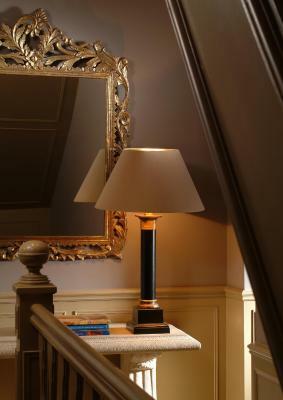 This luxurious boutique hotel provides you with first-class guest accommodations in the heart of The Hague. 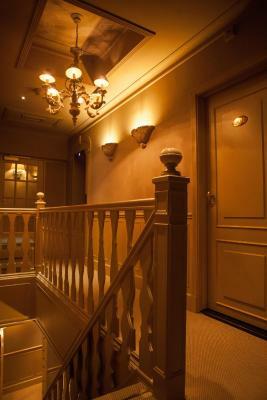 Feel like royalty in this elegant 17th-century building with its classic grandeur. The Paleis Hotel offers a great location, right in the oldest part of the historic center of town. 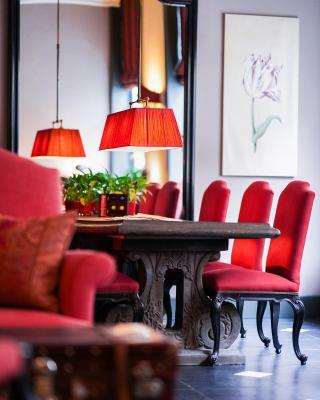 Admire the wonderful interior, decorated with antique Louis XVI furniture, old engravings and special fabrics created by the famous French top designer Pierre Frey. 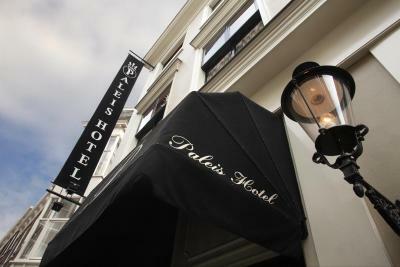 When would you like to stay at Paleis Hotel? Please note that it is not possible to add extra beds for this room. It is possible to add an extra bed for this room type. The spacious room is stylishly furnished with a VI Spring Exquis or a Jensen bed, which has 100% cotton embroidered sheets. 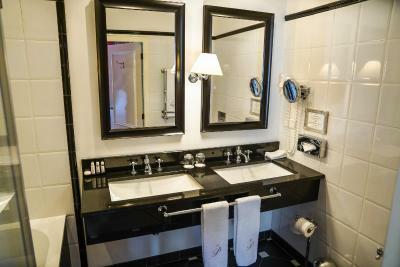 The luxurious bathroom with under floor heating, features a bath and has amenities of Salvatore Ferragamo. You can also make use of the luxurious bathrobes and slippers. 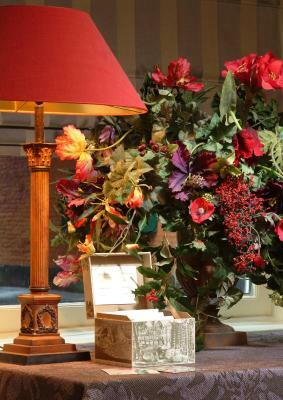 The hotel is situated in the oldest part of The Hague in an old building from the 17th Century. 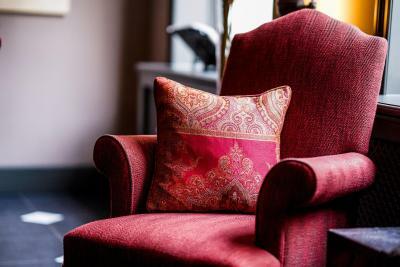 In 1895, the sister of famous Dutch writer Louis Couperus resided here and many of his stories find its origin in what we know today as the Paleis Hotel. 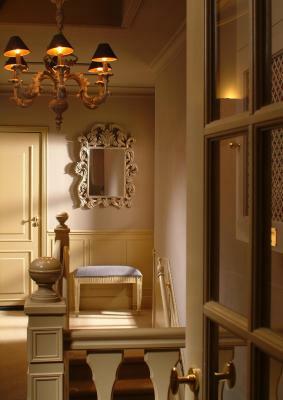 House Rules Paleis Hotel takes special requests – add in the next step! ATM card Paleis Hotel accepts these cards and reserves the right to temporarily hold an amount prior to arrival. Paleis Hotel accepts these cards and reserves the right to temporarily hold an amount prior to arrival. Please note that all children under 2 years stay free of charge for children's cots/cribs. All further older children or adults are charged EUR 35 per night for extra beds. 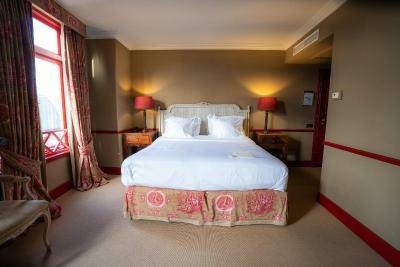 The maximum number of beds in the Superior and Executive rooms is 1. 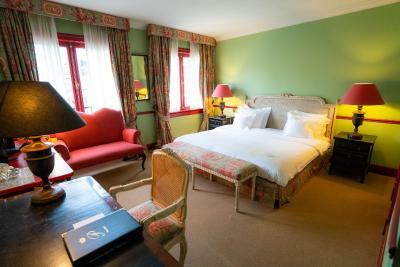 There is no capacity for extra beds in the Deluxe rooms. Please note that charges are applicable for the shuttle service. The shuttle service should be reserved. For more more information please contact the hotel. Please note that only medium sized dogs are allowed. Please note that a children's cot is only available upon request and subject to availability. Please note that not all rooms have air-conditioning and that these rooms are upon availability & request. Room had cigarette smoke smell, tea coffee provision stingy and basic. The bad smell coming out from the bathroom every evening. The fact that they charge 5.5 Euro for a small bottle of water. The very old carpet on the floor that looks dirty. The very expensive breakfast with decent but limited choices. The staff was very kind but didn’t provide any information about the city. One and only criticism was that we were quoted €70 for a taxi. The taxi arrived promptly but the driver charged us €85 on arrival. We only had 3 medium suitcases and didn't seek a people carrier as driver advised. Superb on both counts. Your staff are calm and totally professional, very refreshing. We had a great welcome but surprising check out. Very expensive water in room, where other places have complimentary water. No information about prices for water, wine in the room. Price of the room did not reflect the room conditions. A noticeable rip in a carpet. Loud voices coming from a pub nearby until 3 am,made it impossible to sleep. Great overal location. Nice staff. Warm room. 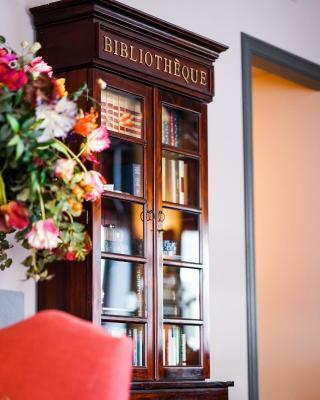 My favorite hotel in The Hague! I asked for one big bed, and not two separete. despite that in the room was kingsize bed, consisting of two. i was told that thei kingsize beds are like that, though i can surely say its very uncomfortable. as i thought in the morning we had them on a sertain distance. Plus i really believe that breakfast in 4* hotel can be really more diverse in terms of vegetables, fruits, cheese. No fresh juice, no fruits. though small restaurant area was quite cozy. asket for second set of bath things (as we were two) we haven't recieved it. We were in room 303 which is next to the elevator. At times we could hear the elevator operating. 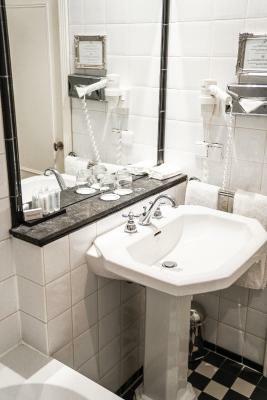 The staff were amazingly helpful, the hotel is in a wonderful place (close to city center but on a quiet street) and the room was lovely. At night, there was a sudden room check. The hotel staff explained later that there was a last minute reservation and he checked the wrong room. Some noise from the bars outside, and from the lift inside, but not bad. 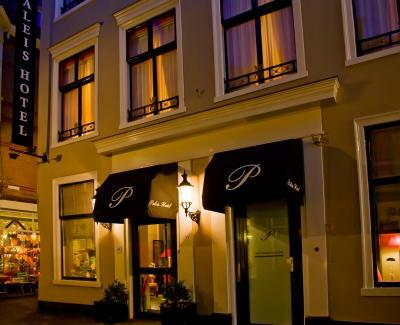 The Paleis is a delightful hotel, in a superb central location, surrounded by little lanes full of bars, shops and restaurants. There is parking available, but we could walk to all the attractions and didn't need the car during our stay. The room was comfortable, well equipped, attractively furnished and had a good en-suite bathroom with everything working. The staff were all excellent, including guiding us there by telephone when we first arrived (the bollards at the entrance to the street retract automatically when you approach them), and a very kind manager who cleaned up after we accidentally exploded a bottle of beer all over the lounge, and ourselves. The breakfast room was lovely with a good healthy choice of food, and all the staff were helpful and friendly. 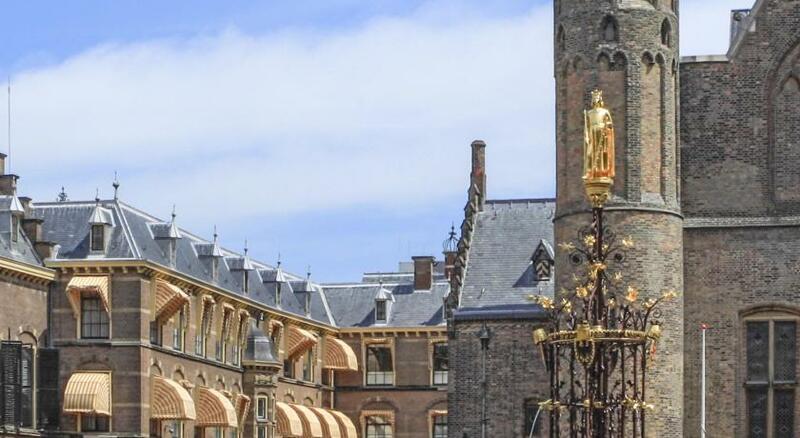 I would highly recommend this hotel, and indeed the Hague in general. We loved it. Everything. The hotel, excellent staff, fantastic location, good quality food. Charming and old school without being dated. The bed was ultra comfy. We were driving and the hotel was very very difficult to find by car--very stressful. I loved how the room was decorated. The hotel was charming. The room upgrade was much appreciated. The staff were very helpful. The tea was delicious. The robes and slippers were wonderful.